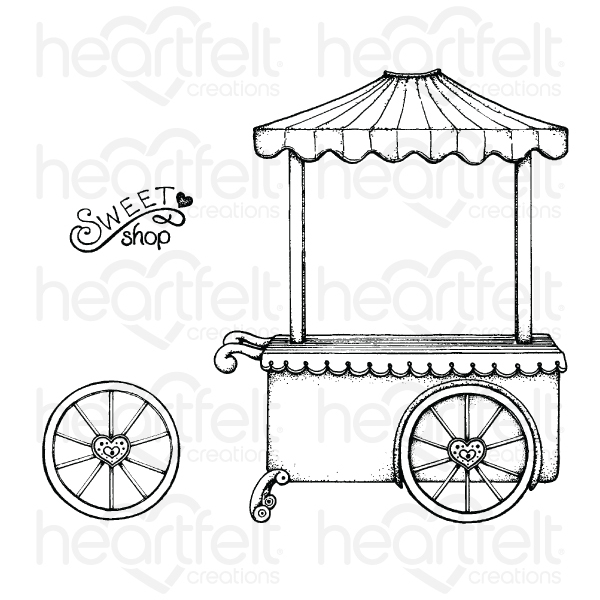 Assemble your very own adorable bakery-style Sweet Shoppe Cart with the Sweet Shoppe Cling Stamp Set! When paired with the coordinating die, this substantially sized die cut is ready to be assembled and transformed into a cute, dimensional piece perfect for displaying the yummy, sugar filled treats within the Sugarspun Collection! This fun and jovial cling stamp set is also a wonderful design for stamping and using as a background image on card fronts, scrapbook layouts and altered art pieces! This cling stamp set is part of the Sugarspun Collection and pairs with the Sweet Shoppe Die.